At Thermo King our whole mission is about improving the quality of life. Our products and people deliver peace of mind to our customers by ensuring passengers and temperature-sensitive goods make it to their destinations safely and efficiently. Our goal is to ensure that we make that process simple and easy for them to do. Better design means a lower cost of ownership. Superior reliability, less maintenance, greater efficiency and a higher resale value. 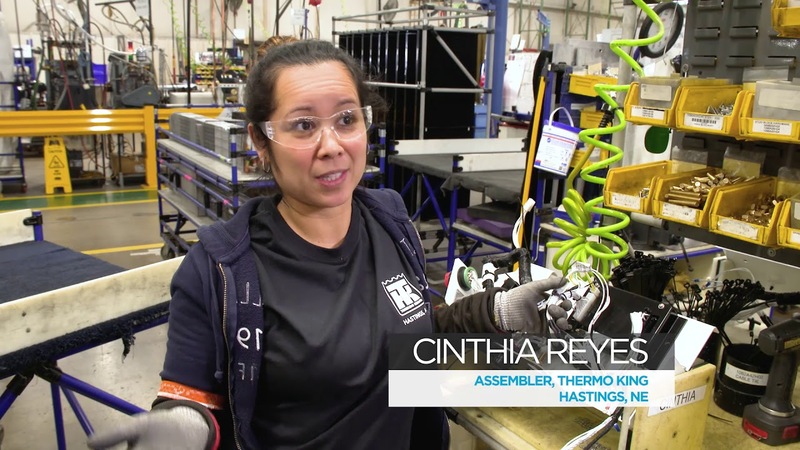 Utilizing the latest breakthroughs to drive efficiency, safety and sustainability while saving money, Thermo King is bringing concepts from the test lab to the highway. Since inventing transport temperature control 80 years ago, Thermo King has, continued innovating and remains a world leader in the industry. When you need support, you’ll get assistance from providers who are factory-trained and certified to specifically service our products. And with our extensive service network in North America providing assistance 24 hours a day, you have the support you need anytime, anywhere.